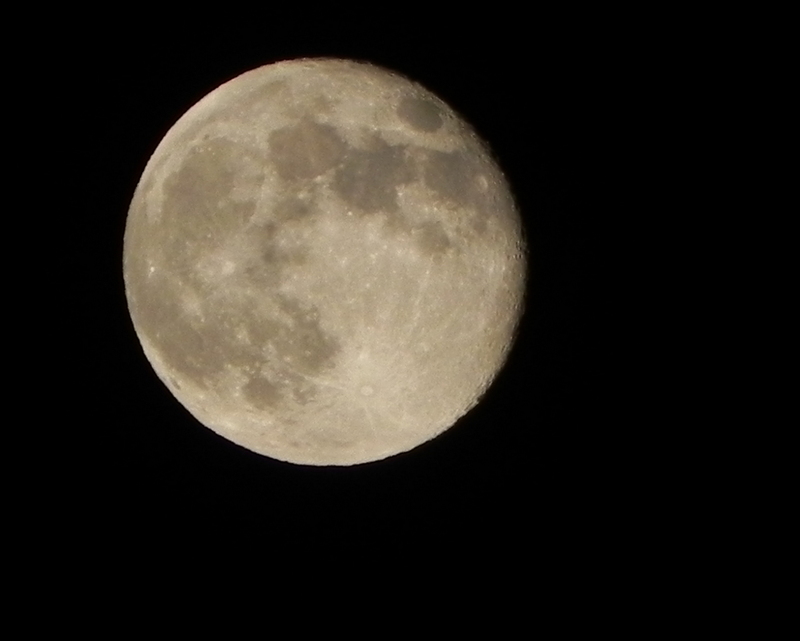 These are of the moon last night, around 8:40 PM. I couldn't get over the huge "halo" around the moon. 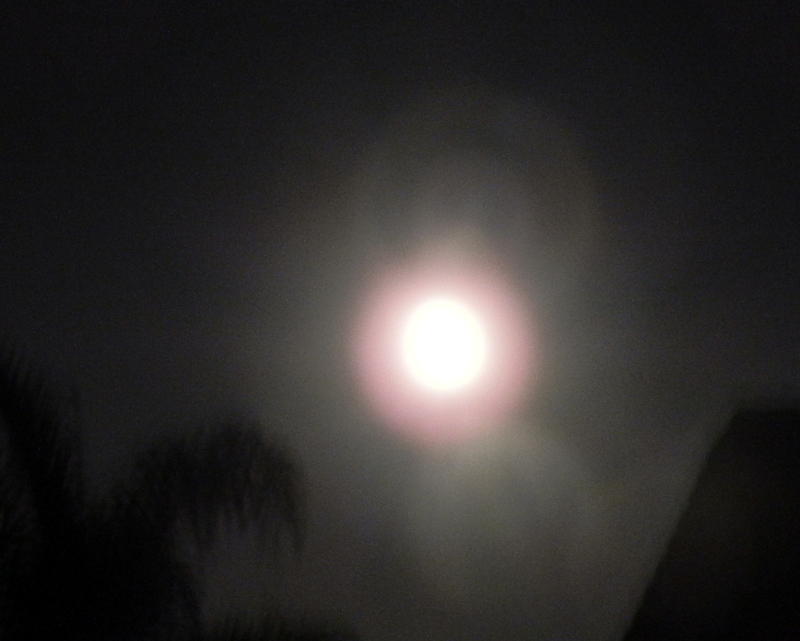 The moon was so bright, it was like a spotlight. This middle shot looks as if there are "other" bodies up there. Do you see a face, above the moon?